Samuel Beale was an ironmaster, an Alderman of Birmingham (of which he had been Mayor in 1841), and Chairman of the Midland Railway Company. In the summer of 1853, just after his fiftieth birthday, he turned his attention to a question which had been troubling him for several years - how to provide healthy recreational outlets for the thousands of factory workers crammed in to the smoky town with its taverns and brutish entertainments. He knew they already formed themselves into “Gypsying parties” of a hundred or more for days out in the country - fifty such parties were reported to have set out in char-a-bancs one fine Monday. Then Samuel Beale had a big idea, and called a meeting of the leading Birmingham men for Tuesday July 26th. All those present supported the plan; Mr. Martineau said that “as the town increased, and its growth had swept away the gardens of the poor, and also covered the fields, it was an actual necessity to provide something for them in lieu of these places of recreation”. 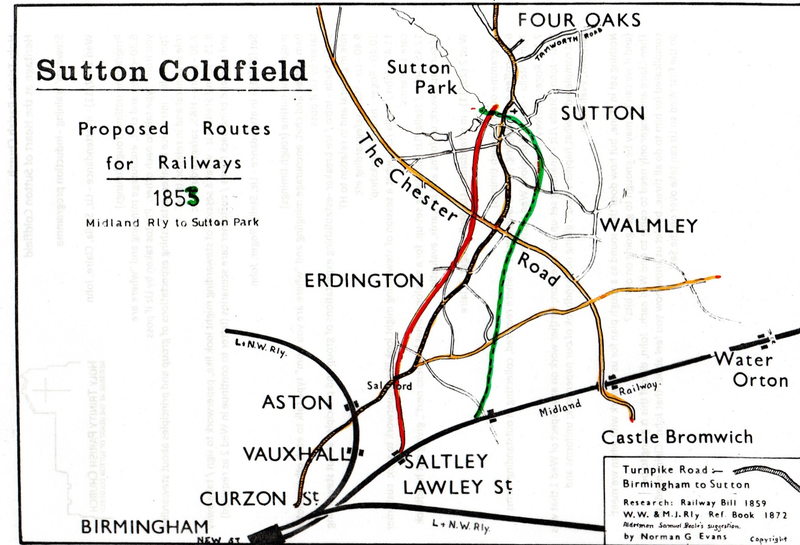 Mr. Malins commented on the salubrity of air and advantages of situation possessed by Sutton in contrast to the town and neighbourhood of Birmingham. There was an elephant in the room - no mention was made of the hope that their workers would turn up for work after the weekend fit and healthy instead of hung over and morose. A deputation from Birmingham met some Sutton gentlemen to perfect the proposal, and Dr. Bodington, Warden of Sutton Coldfield, received a letter from the Mayor of Birmingham setting out the project almost exactly as first conceived, but in greater detail. The Sutton Corporation resolved “that the proposition to make a Railway from Birmingham to Sutton in conjunction with the erection of a Crystal Palace in the Park be favourably received…without necessarily in any way adopting the statement now laid before the meeting”. Amendments designed to exclude the Crystal Palace and Sutton Park from the proposal were defeated. There was considerable, rather snobbish, opposition to the scheme from the Sutton upper classes, and a petition was received by the Warden expressing indignation at the proposed alienation of part of Sutton Park, disapprobation of “any attempt to introduce onto the land you hold in trust for us any place of public amusement calculated to attract multitudes of strangers”, and objecting “a railroad, which, constructed in that vicinity, would be far from benefitting Sutton, and would bring an influx of the inferior population of manufacturing districts, with their shops and factories, and render Sutton a smoky and depraved suburb of Birmingham”. The granting of a lease of Sutton Park proved to be illegal and funds dried up with the onset of the Crimean war, so the proposal was abandoned. Progressive Suttonians had to wait another nine years for their railway. 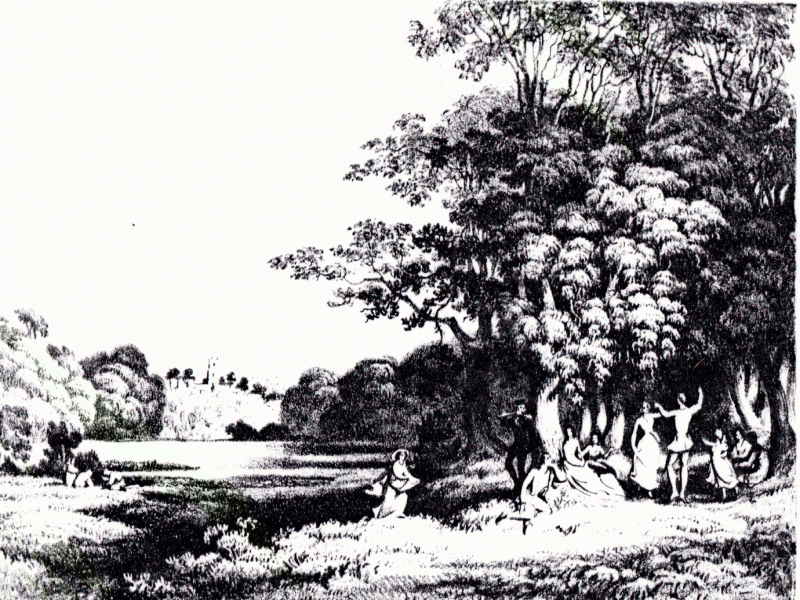 Miss Bracken’s idea of recreation in Sutton Park, an idyllic picnic with an impromptu dance, far from the dreaded amusements of “the inferior population of manufacturing districts” - (Picture courtesy of Sutton Reference Library).